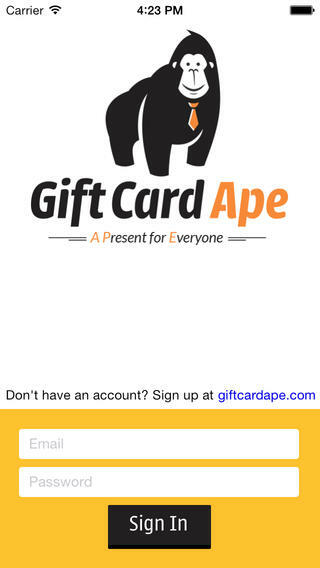 Gift Card Ape iOS App Review: Sell or Redeem Gift Cards On The Go! 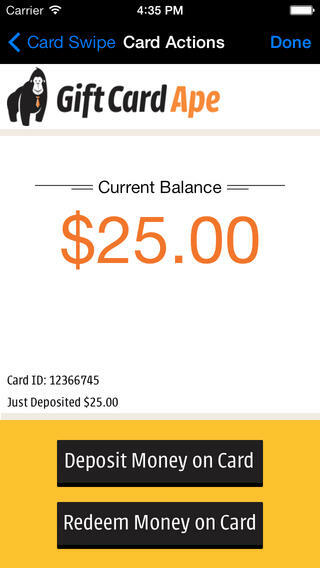 Until now creating gift cards was only possible through a Point of Sale systems or credit cards, but this iOS app will allow you to do it from anywhere with the additional the capability of redeeming the gift card! – Gift Card Ape! If you own a business and want to offer custom gift cads to your customers or want to redeem them, Gift Card Ape will be the best way to achieve it. This app works flawlessly on both iPhone & iPad and you can utilize the gift card anywhere using their revolutionary technology. All you need is a wireless connection or network service and you are good to go. Gift cards are amazing way to offer goodies to your customers, clients, business friends and colleagues. With this app, selling and redeeming the app becomes a super quick process, no matter if you are at convention, market or on a business trip. Even if you have a business with multiple locations, you can offer gift cards at one location & redeem at another. So you will still get the flexibility of offering gift cards anywhere. urFonts iOS App Review - Create Personal Handwritten Fonts! 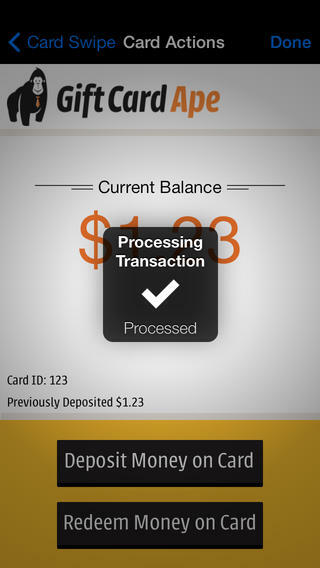 Point of Sale App Review: Android Based POS System! No More VLC Media Player on Apple App Store : Still you can download it. WLC Videos App Review: Religions App For iPhone & Android Devices! Puzzle Time Game iPhone/iPad Review – Must Have App For Your Kids! Jewel Stacker iPhone Game Review – Challenging Stacker Experience!